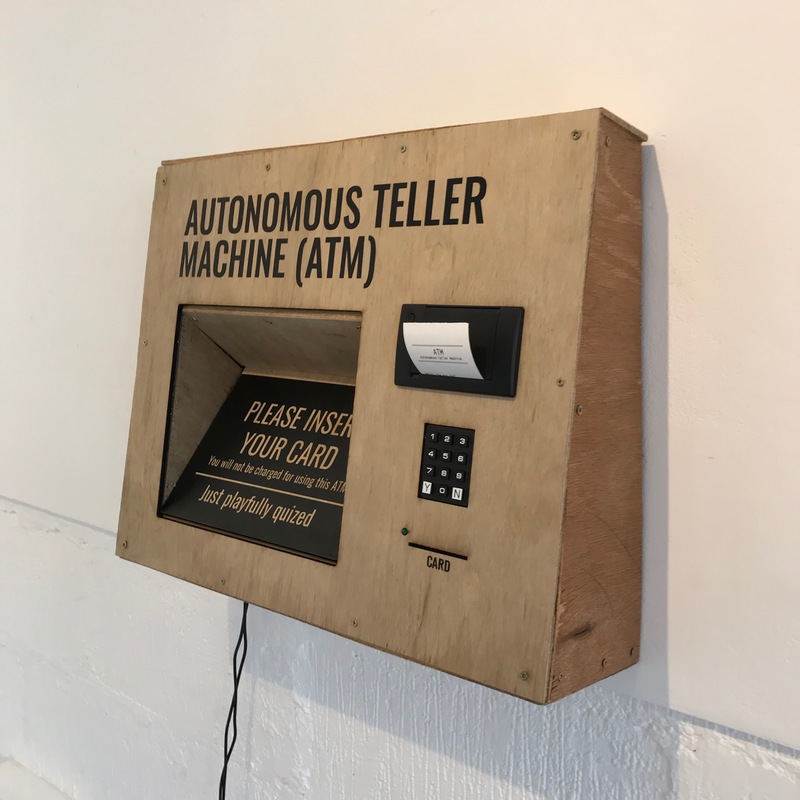 ‘Autonomous Teller Machine’ (ATM), is a collaboration between myself and artist Lara Luna Bartley, marking ten years since the global financial crisis and bailouts which followed by inviting audiences to reflect on this historic event. 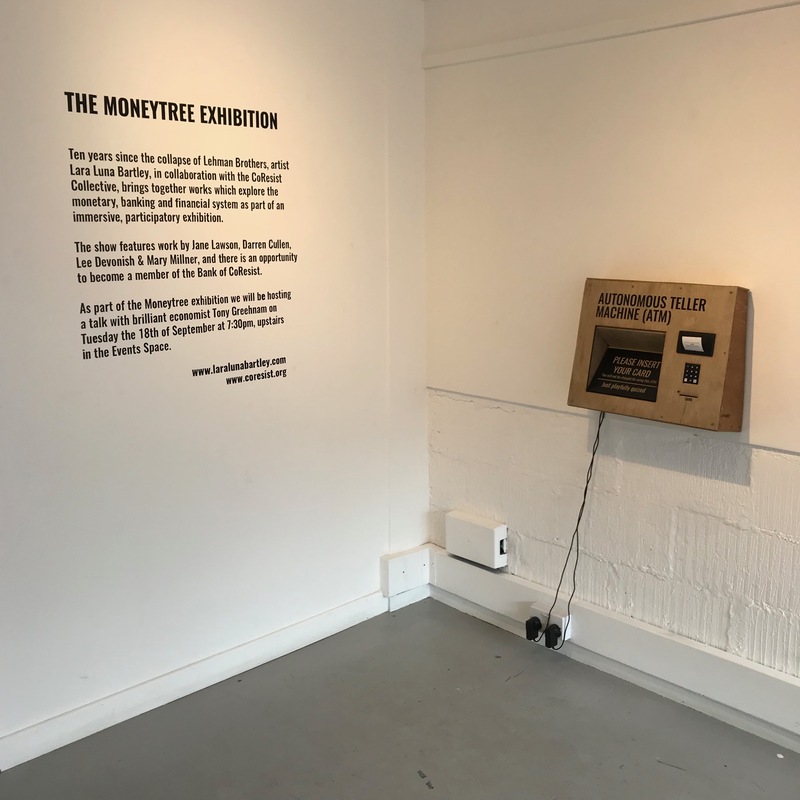 This temporary participatory intervention in the form of an ATM was exhibited as part of the Moneytree Exhibition in Bristol and at the Plymouth Art Weekender in September 2018. 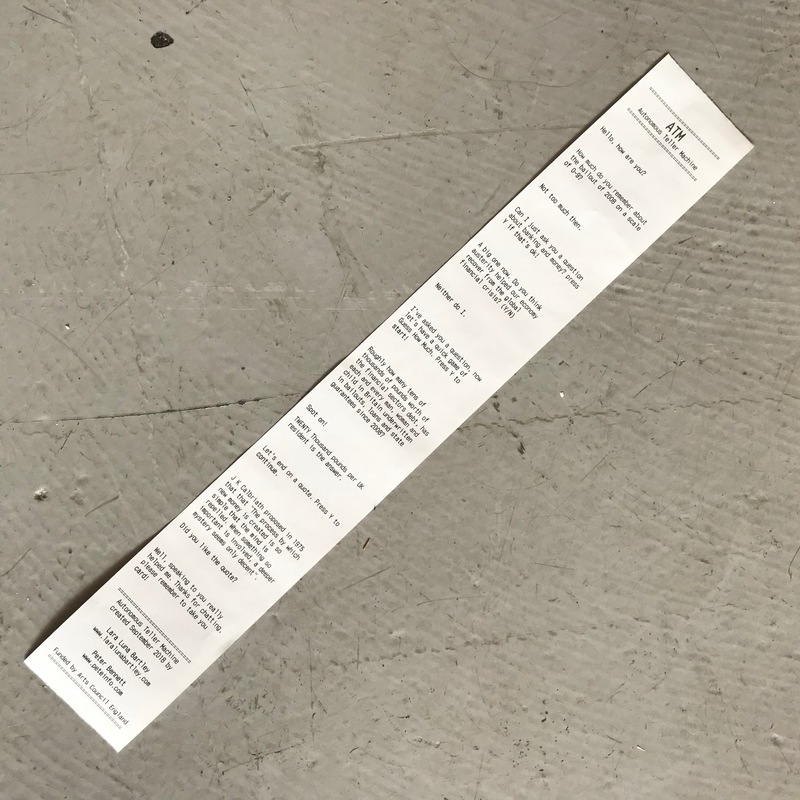 The plywood ATM is activated through the insertion of a bank card and ask questions such as “are you too big to fail?” by automatically dispensing a receipt. 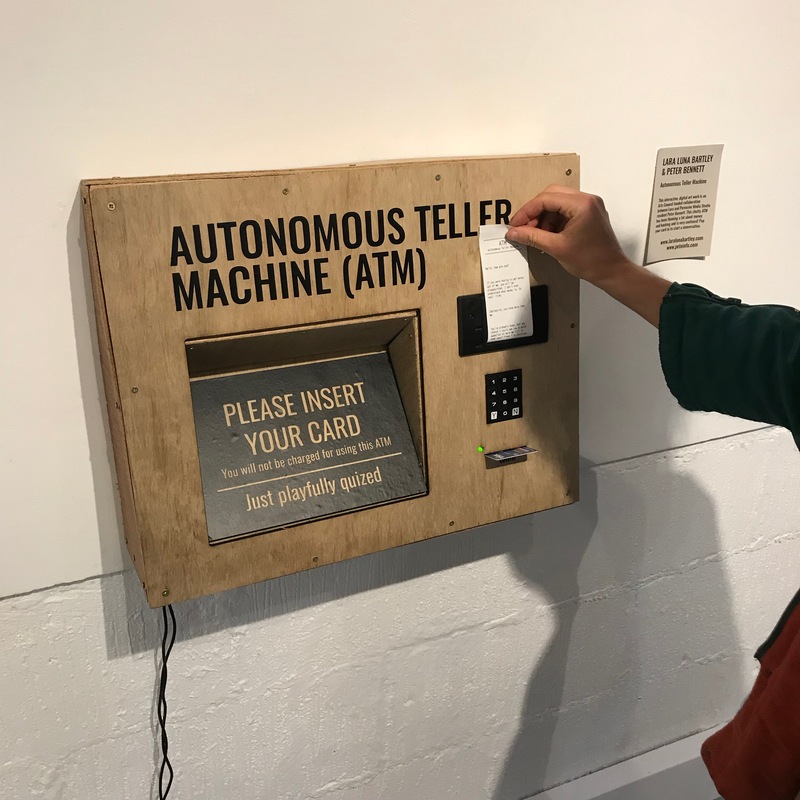 A keypad enables participants to answer the AMTs questions, creating a curious and engaging interaction.